Jesus didn't give up on Peter and his 'little faith' and he won't give up on us! Immediately [after feeding the 5,000,] Jesus made the disciples get into the boat and go on ahead of him to the other side, while he dismissed the crowd. After he had dismissed them, he went up on a mountainside by himself to pray. Later that night, he was there alone, and the boat was already a considerable distance from land, buffeted by the waves because the wind was against it. 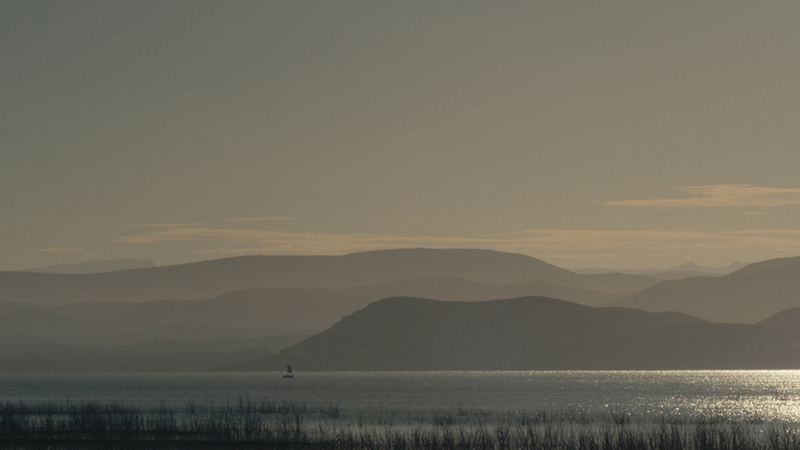 Shortly before dawn Jesus went out to them, walking on the lake. When the disciples saw him walking on the lake, they were terrified. "It's a ghost," they said, and cried out in fear. The apostle Paul declared that God can "do immeasurably more than all we ask or imagine, according to his power that is at work within us (Ephesians 3:20). Unfortunately, something inside many of us goes, "I doubt it!" Our doubts are not so much about what God can do, but more about why he would do anything special through us. This doubt haunts us when we feel our prayers are unanswered or ignored. Our "little faith" doubt rears its ugly head because we know our weakness, hypocrisy, and sin. Many of us won't "step out of the boat" and risk trying to do anything great for Jesus. We doubt ourselves. We doubt Jesus' desire to do anything great with someone as flawed or as unspectacular as we are. Satan doesn't have to defeat us because our doubts keep our feet in the safety zone of the easily possible. So for several weeks, I want us to focus on some events from the life of Jesus and what they say about that nagging little voice inside us that says, "I doubt it!" Today, let's grab a few principles from Peter — whose name means "Rocky" — and his sinking like a rock. Jesus came to his disciples during the storm. Jesus encouraged them not to be afraid because he had come to be with them. 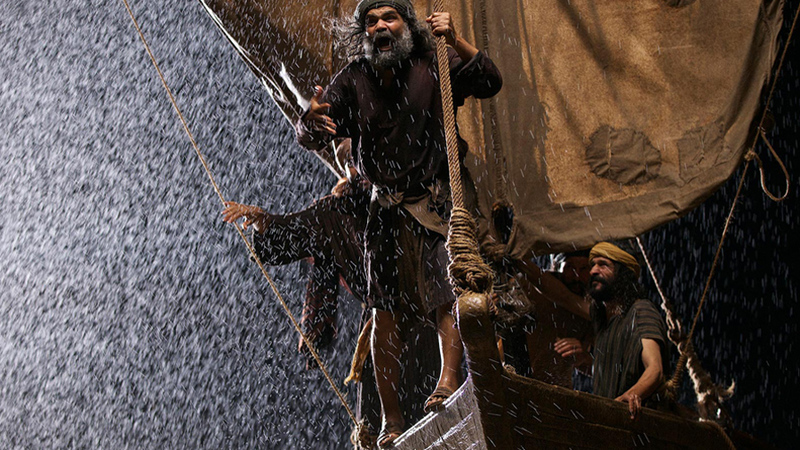 Peter stepped out of the boat when Jesus called to him through the storm. Peter sank when he changed his focus to the wind and lost sight of Jesus in the storm. When Peter began to sink, he called to Jesus to save him. Our "little faith" combines with our big doubts and we sink when we take our eyes off of Jesus! Go over this list again. Notice anything? Read through Matthew's account of this event again. Notice something important? This story is not about the storm or the disciples: it is about Jesus' presence, power, faithfulness, and help for his disciples during our storms. Life is full of storms just like the Sea of Galilee is known for its storms. We are going to have storms throughout our lives. Some of these storms will be small. Some will be huge and overwhelming. However, the issue is not the storms, but the one on whom we focus during these storms! Peter did something most of us would have never done. None of the other disciples dared to do it. Peter stepped out of the boat. Peter walked on the water through the storm when Jesus called to him! He didn't sink until he lost focus on Jesus. He didn't start going under until he diverted his attention to the wind and the waves. He sank when he focused on the storm and not his Savior! Jesus didn't give up on Peter and his "little faith"! Jesus invested over three years in Peter and his many missteps, misstatements, and mistakes. Then, because Peter didn't give up on Jesus and the Lord refused to give up on this apostle of "little faith," Peter was used to do great things. If Jesus didn't give up on Peter, he won't give up on you or on me! God can do great things in us. So let's help each other not give into the voice inside that says, "I doubt it!" Let's remember Peter — that he stumbled, bumbled, and flubbed his way through Jesus' ministry. He said dumb things. He overstated his faith. He overestimated his ability to be faithful. In spite of all of this, he became someone who looked to Jesus in his storms. Even when he was going under in this story, Peter remembered to call out to Jesus for help: "Lord, save me!" And Jesus did save him again and again and again. Peter's "little faith" gave birth to Jesus' great opportunities to save, bless, encourage, and redeem. We must remember in the storms of life that the issue is not the storm. The issue is not even our little faith (Matthew 17:20). Even "little faith" in big storms can trust in a loving and present Lord to save. Our willingness to focus on Jesus, to cry out to him, and to trust that he is near, opens the way for Jesus to do things far beyond what our doubts can imagine if we will step out of the boat and walk with our hearts focused on our Savior! Courage! I Am! Stop Fearing! "I Doubt it: Stepping Out of the Boat" by Phil Ware is licensed under a Creative Commons License. Heartlight encourages you to share this material with others in church bulletins, personal emails, and other non-commercial uses. Please see our Usage Guidelines for more information.